Hey everyone! Unfortunately my internet at home has decided to stop working and after waiting it out I’ve admitted defeat. Because of this, I’m having to do this post on my phone so I apologise for the lack of editing and style! 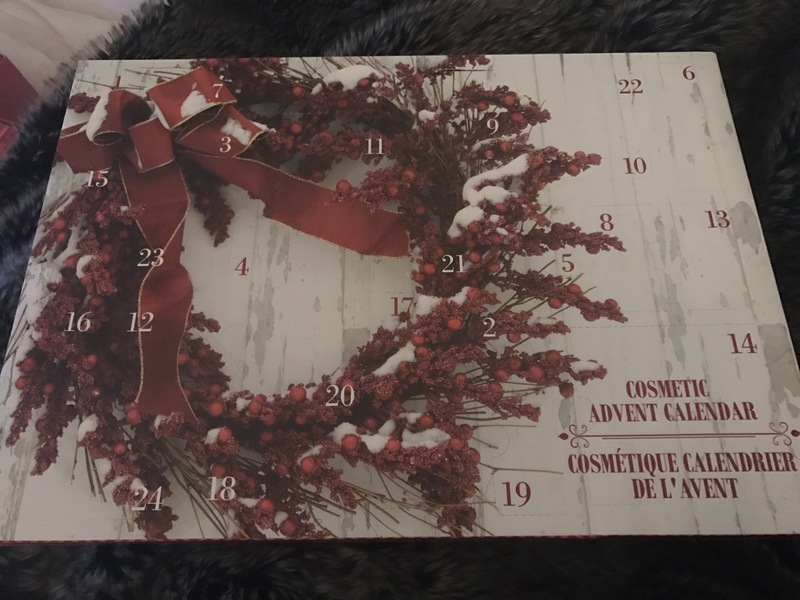 So if you didn’t see my first post in this series, it was my day 1-5 round up for the Marks and Spencer advent calendar here. Today we are going to look at the Technic calendar. This retailed for £17 and is currently out of stock. In terms of the packaging, it looks cute but it’s not hugely original. I don’t think there was a lot of thought put into this. I actually found it quite difficult to find the numbers I wanted right away as it’s not incredibly clear. When opening the packaging, one door would start to bend the cardboard and begin to open another door. I also gave up trying to get some of the items out of the packaging as it seemed they were pretty much vacuum packed in there. 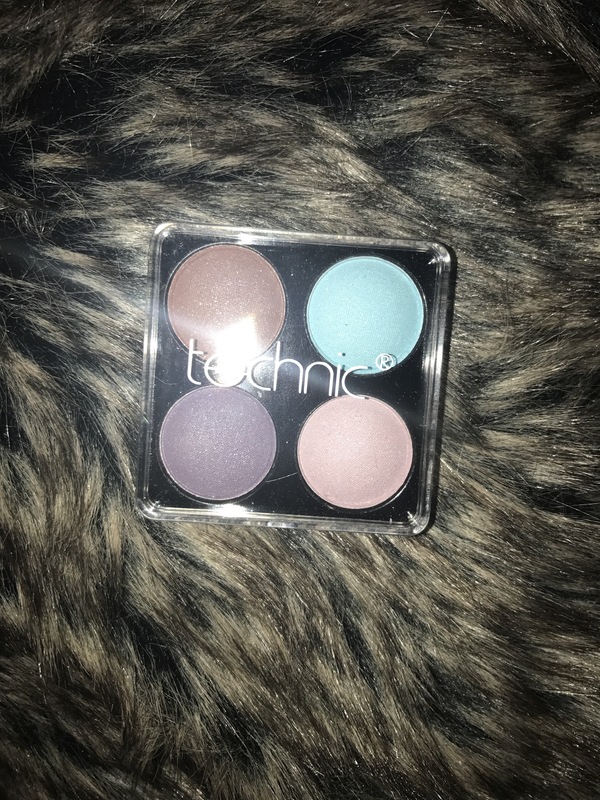 This is quite a cute little Palette but it’s a really random mix of colours. I wouldn’t mix the pale pink with any of the other three colours in the palette. I also found when swatched, the two on the right were quite similar looking. These were a little dusty as well with considerable fallout, but they were pretty pigmented when built up on the eye. 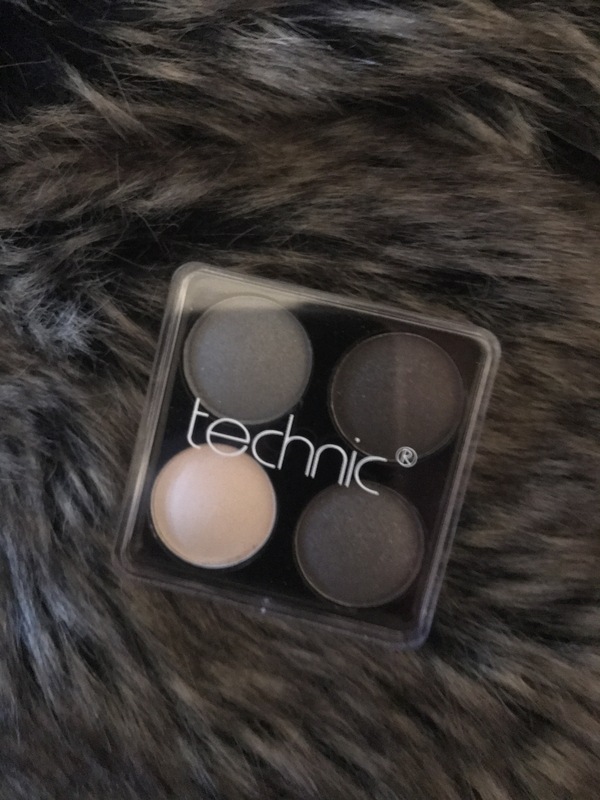 They blended quite well and there is a decent amount of product provided. In terms of its ability to work as a sharpener, there’s nothing wrong with this. It’s decent, sturdy and does the intended job. So for that, it’s a 5/5. However, quite a lot of beauty advent calendars do this. Whilst a sharpener is a convenient item to have, it’s a filler product. You can buy these for like 30p at most shops, so they’re adding it to cut their costs and you’re getting less for your money. Not too impressed with that. 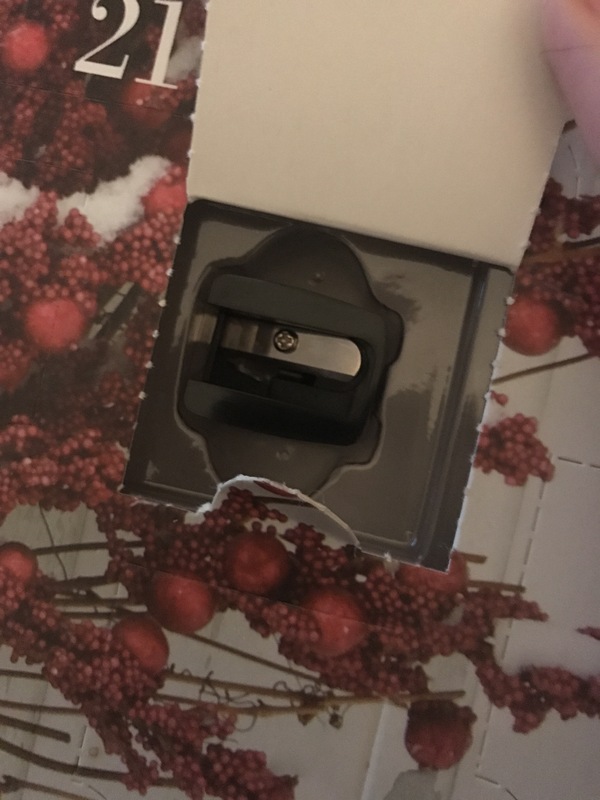 Also the packaging is so frustrating that after several attempts and a broken nail, I gave up trying to get it back out for a picture. This is another filler product, so far in 3 days I don’t really have anything to show for my money. In terms of the mirror, it’s quite a decent size for travelling and it’s clear. However, it’s quite chunky as shown in the picture. There’s no need really as there’s nothing in the back of it. I also would have preferred if there was even a small plastic top to go over, as in my bag that’ll get covered in make up or scratched extremely fast. Finally something that isn’t a filler product! 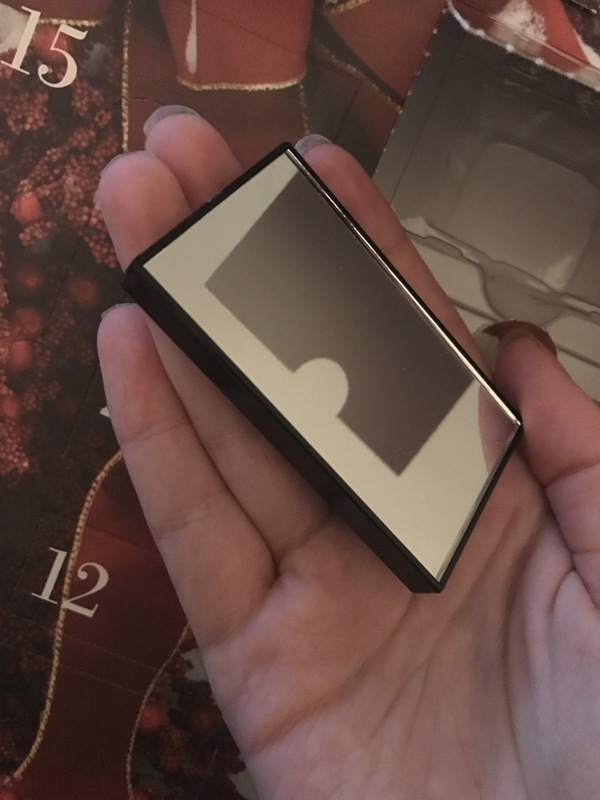 I may have gotten a little excited that I actually got a makeup item and been generous in my review. This isn’t a colour I would personally wear, but it does give a nice sheer colour on the lips. It has glitter through it which I know isn’t everyone’s cup of tea. 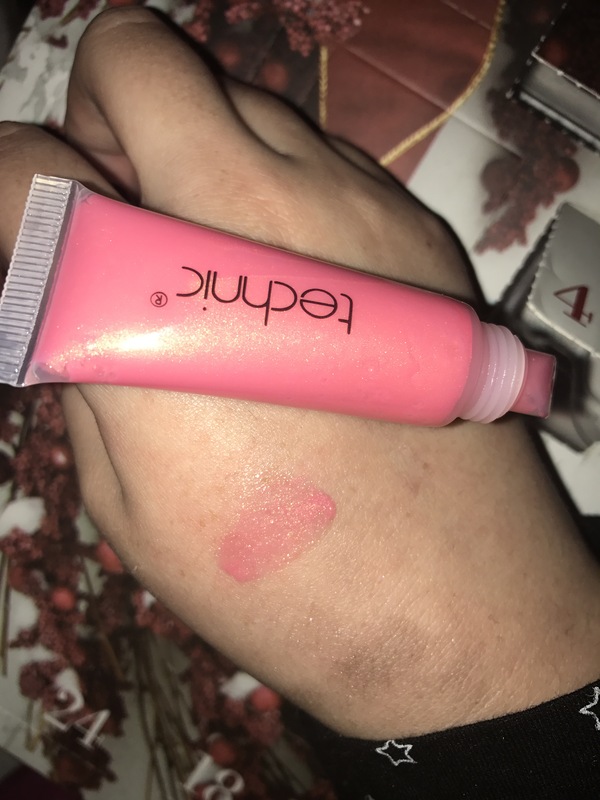 I’m not a huge lip gloss fan myself to be honest, but it did also smell a little funny. The sample size is decent and would probably last a good couple weeks of continuous use seeing as every time you breathe you have to reapply. This one is basically the same as day one in terms of the quality/consistency of the shadows. This one has a little bit more variety in it, at least I’m getting four different colours. Again I couldn’t make a complete look out of this, so I would need to be carrying other shadows. For that reason, I don’t see it being a quad I would use that often at all. So that’s us for the Technic five day round up! Honestly I’m not too impressed this far, but there’s another 19 days to go, so we’ll see how we progress!